What if Wal-Mart had an aisle for conceptual art? In Poland, a discount chain decided to open its doors to high culture. 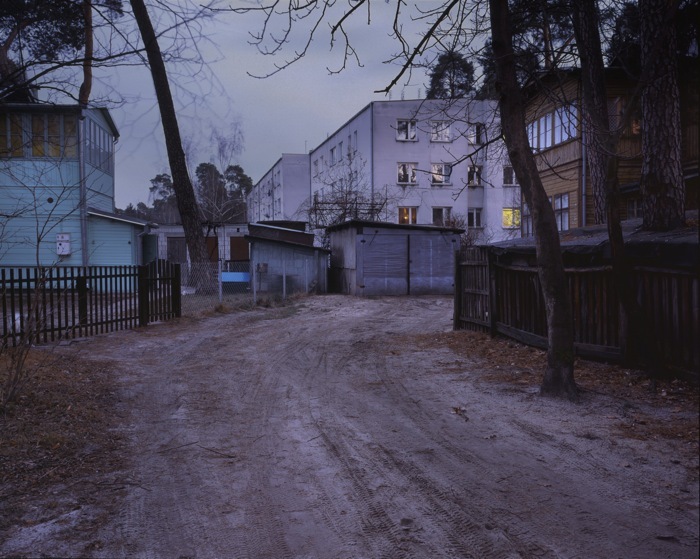 From November 9 to 24, 2013 a branch of the Biedronka discount chain, located in Otwock near Warsaw, is hosting an Art Department, with series of workshops and lectures related to contemporary art led by critics and artists from the capital. The combination may arouse both skepticism and fascination, especially for the onlookers from Warsaw. However, the organizers of the series of events do not necessarily consider city inhabitants their foremost audience. The programme is predominantly targeted at the inhabitants of Otwock (a 44 000 town, located 24 kilometers south-east of Warsaw) and the shoppers from the Biedronka, and it is indeed that community who fills the pavilion next to the store several times a week to engage in the lectures and practical workshops. 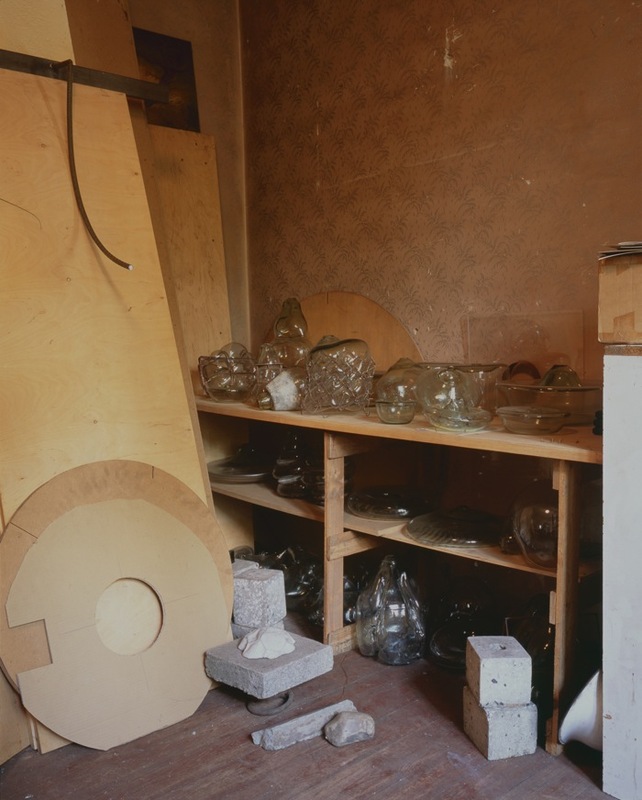 The programme, titled The Art Department (Dział ze sztuką), is initiated by the Otwock Project and run by the Open Art Projects Foundation in collaboration with Mirosław Bałka. Bałka was born in Otwock, and is well-known for having transformed his family home into his studio in the 1990s, turning it into a point of reference and inspiration for projects related to the context and environment in which art is made. The premise of the Otwock Project has been to collaborate with artists, curators, and writers, in order to formulate subjective descriptions of the town. Theorists and practitioners invited to prepare presentations and workshops for the Art Department include influential names of the art world, such as art historian Maria Poprzęcka; Sebastian Cichocki, director of Warsaw's Museum of Modern Art in Warsaw; and Daniel Muzyczuk, curator at the Museum of Art in Łódź, as well as educators from Warsaw and Otwock. Nevertheless, it is probably something other than theses names that has been drawing audiences to the art pavillion. Whether it is the novelty of the initiative, the accessibility of the presentation titles, or the eagerness to take part in events to which one is invited by their local shop, the pavillion appears to be filled to the maximum at pretty much every event - a result that is hard to achieve at some of the more central and prestigious events. The position and scope of Biedronka (Ladybird in English) in Poland has been steadily developing over the past years, the chain branding itself as the no. 1 market of the people. Their recent big advertising campaign was based on the slogan pronouncing communal traits of the Poles: “my, Polacy tak mamy!”, which translates into, “this is what we, the Poles, have in common!”, a phrase that has found its way into the everyday language of the Poles both off- and online. The chain of shops, belonging to the Portugese giant Jerónimo Martins, and existing since 1995, has had its ups and downs on the Polish market. In 2004, a long-term scandal grew out of the company’s breach of workers’ rights. After a series of court cases the issue went quiet, and Biedronka started an aggressive marketing campaign, owing to which it recently found itself on the top of the list of the Best Brands in Poland. Apart from combining affordability with geographical accessibility, the shops gained a new and numerous group of customers thanks to their line of inexpensive quality wines. Last but not least, the corporation invested a lot into creating a friendly image of the stores, a characteristic that one normally looks for in a corner shop rather than a supermarket. The Open Art Projects Foundation’s collaboration with Biedronka is not , however, an element of a branding campaign or an attempt at elevating it to the level of high culture (although in the summer 2013 Biedronka actually launched open-air cinemas next to their shops). The Otwock curators provide a company outreach with a definitely broader reach and impact. Their hope with the project was to not only to achieve a broad and democratic resonance but also to bridge the social gap at the local level. The activities of the Otwock group is by no means the first attempt to bring art closer to the groups of people outside of the usual circles. In 2010 Karolina Breguła set up the online Art Translation Agency, whose purpose was to offer explanations of contemporary art to those who have trouble comprehending it. Made up of experts in various disciplines (from sociology to journalism, education to medicine, among numerous others not necessarily related to art), the team would respond to questions posed by the puzzled readers. The requirement imposed on the translators was that the answers should be as far from the official interpretations of the artworks as possible in order to encourage an escape from the bounds of canon, and at the same time welcome non-professional viewers to have their say on the subject of art. In an interview for the Biweekly magazine, Breguła expressed a wish that the ATA entries would some day enter public debate and circulate in the future art historical texts. The key goal for the artist was to support both the viewers both familiar and unacquainted with the art world in learning how to listen and react to art. In her view, unpacking and de-hermetizing this discipline should result in a more direct and effective community-building on a large scale. There are many different positions and opinions about the locations in which art should be shown and discussed… I personally believe that art is a tool that can shape civic attitudes, one which helps us to pose certain elementary questions, and [...] makes the receivers aware of their capabilities to influence their surrounding. When it comes to democratizing art, a bold move was carried out by the mayor of Bemowo district in Warsaw, Jarosław Dąbrowski. 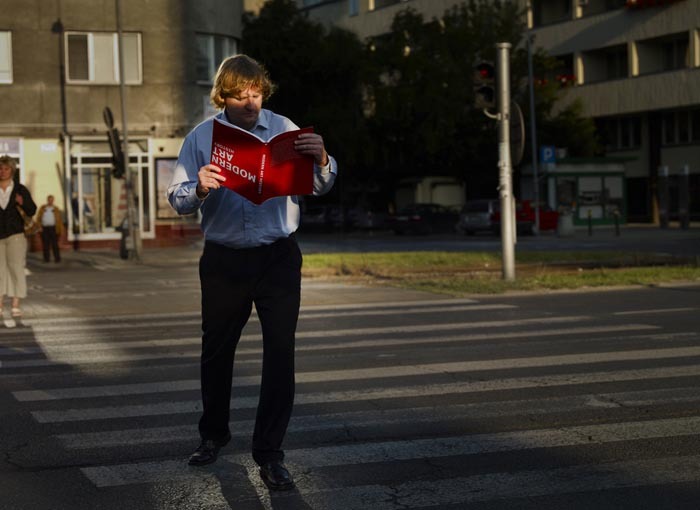 Following the idea of the deputy mayor Paweł Bujski, Dąbrowski decided to literally bring art closer to the people. 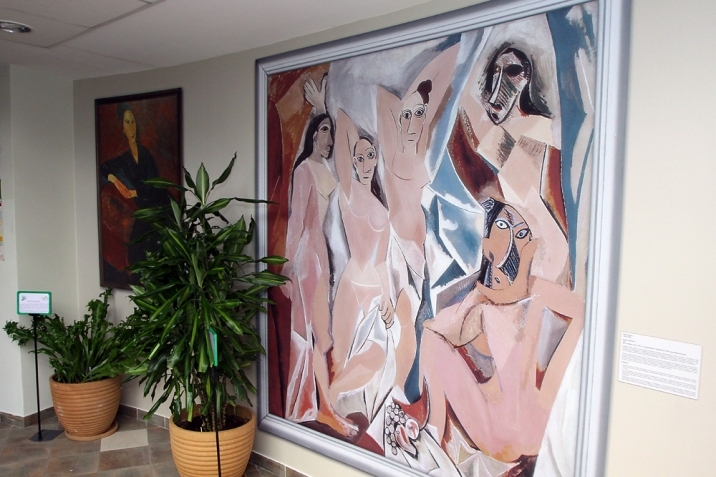 In 2012, the walls of the district office were decorated with 1:1 reproductions of selected paintings, from the Louvre and Musée d’Orsay in Paris, frames included, as part of the Museums of the World programme. Realized by the AJ Studio in collaboration with the young curator Gunia Nowik, the project has become the core of educational programmes for the local residents of all ages. The district organizes regular tours of the exhibition, creating an opportunity for the local commmunity to get a glimpse of a visit to an actual museum, leaving economic and geographical constraints aside. The initiative turned out to be be succesful enough to encourage the mayor to expand it by adding a section with works from the New York’s MoMA one year later. Should it matter that the works on display are actually fakes? Not really. The event arouses interest and brings both entertainment and education, showing art in a way that is much more appealing than sitting in one’s chair at school or looking at a screen. The initiative may for some stand for an opportunity to plunge into luxury, even if for a moment, but realized through frugal means. The Art Department could have easily jumped into an ironic framework as another failed populist attempt that in the end only served artists and the Warsaw audiences. However, the careful composition of the programme, combined with the wide-reaching and effective campaign of Biedronka, generated a highly successful programme, as reflected in the frequence and authentic engagement of the crowd. Authenticity is not always in demand, at least not in all forms, as the Bemowo Museums of the World project shows. That being said, when attending Maria Poprzęcka’s lecture at Biedronka’s pavillion, one is far from being under the impression that she is performing - the stakes are mutual for both the professor and the listeners. The same comes to mind in the case of questions asked at some of the lectures: are Biedronka products to be read and judged in terms of design categories? Why is art untouchable? What is the deal with art in public space? These are all matters that do concern a group of people as sizable as of the one typically searching out special offers on the shop’s shelves. This Otwock Project - Biedronka collaboration reiterates the simple truth that convenivence and common interests may be as crucial in art education as in grocery shopping.